If you would like to become the giant of collaboration market right now, you'll need to provide customers the tools for: social intranet, file sharing (ala Dropbox), task/project management, Email and video/web conferencing. Until now, Jive was arguably the best social intranet provider and somehow solved file sharing tasks via the close partnership with Box. However, it's time to move ahead and play catch up with Microsoft and Salesforce, that don't mind buying startups to close the gaps in their collaboration suites. 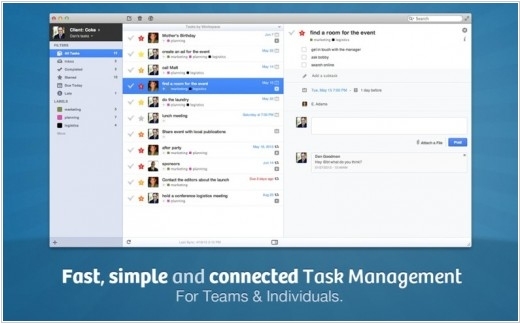 Today Jive has announced about the acquisition of two very good startups - task management app Producteev and online meetings tool Meetings.io. Producteev has become popular due to its convenience and multiple platforms support. 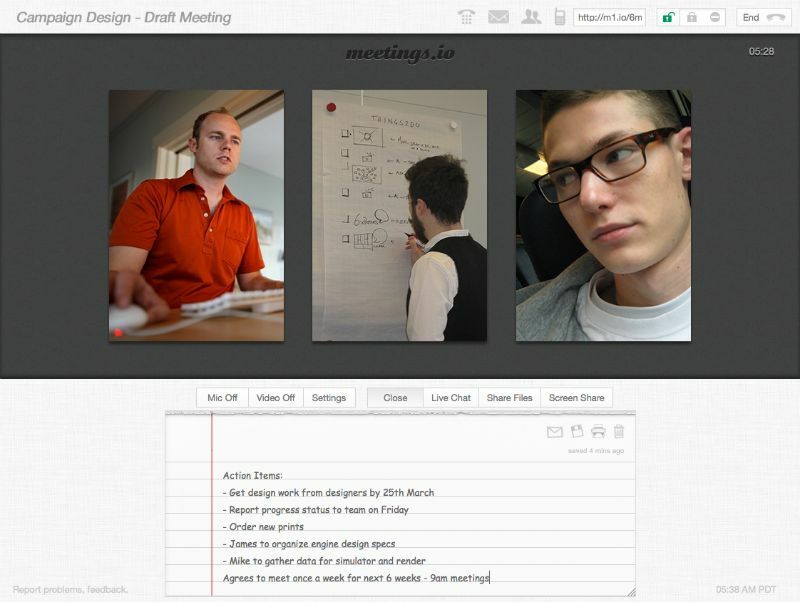 And Meetings.io works as a notepad for online meetings (very simple). To welcome the new staff, the guys from Jive created this very cute movie. It's another example of useful video for business. There is an opinion that one of the most successful and useful computer applications is Notepad. It is perfectly simple, perfectly fast and can solve a lot of tasks - from the development of web pages to business plan creation. 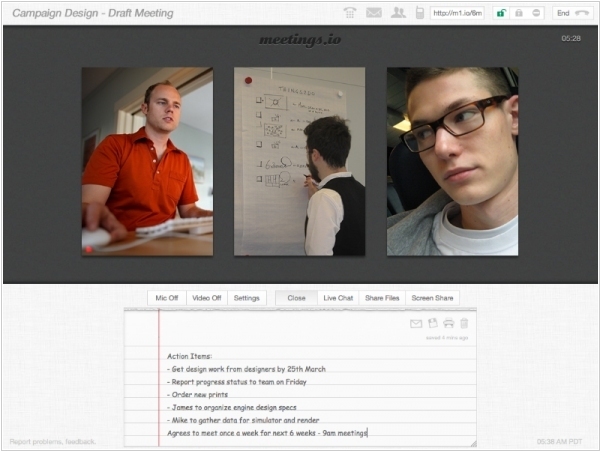 If apply the philosophy of Notepad to videoconferencing, you'll come to something like Meetings.io. Though there are a lot of good solutions for videoconferencing now, and some of them are even free (like Webex, Google Hangouts, ooVoo). But before using these tools you need to install software on your computer or at least create an account. In Meetings.io you don't need to do it. You just open the site, click Start, send the link to collaborators and voila! Of course, inside the virtual room it doesn't have all these bells and whistles like in Webex or Google Hangouts, but it has a notepad (! ), in which you can put the notes during the video conversation. For free you can organize meetings with up to 5 participants. In the future, the creators are planning to add a paid version for a larger number of participants and with additional features. Meetings.io also features the modern-style interface - video streams are displayed in the format of smartphone screen, making it ideal video meeting involving mobile users.